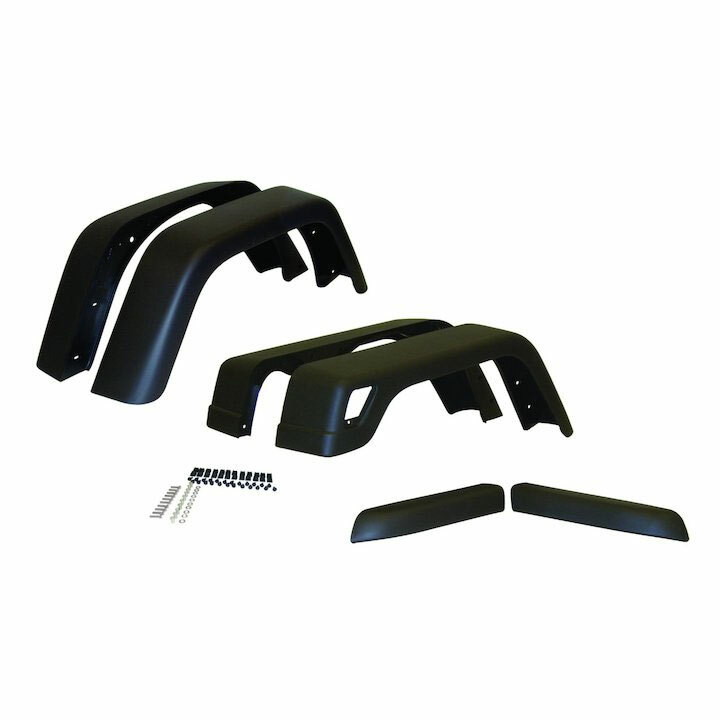 7 inch Wide Fender Flare Kit for 1997-06 Jeep Wranglers. High quality direct OE replacement Wrangler TJ Fender Flares built to provide the extra tire clearance. Add style and protection with these Crown Automotive flares for your Wrangler. Covered by limited 1 year manufacturer warranty.